Yes, I'm posting late. No, I did not get my days mixed up. What I wanted to do was celebrate this year's Silmarillion Awards, J.R.R. Tolkien, and, most importantly, the fantasy genre. So let's not wait a moment longer, folks! Now, for what I had really wanted to share today. It involves lots of my tale as a writer, so I hope that's all right with you guys. I remember back when I was finally old enough to graduate from the juvenile section at my local library. I was allowed to wander the aisles dominated by teen fiction and read "older kid" books. Now, when I read books for the younger audience, I read comedies, mysteries, adventure, etc. But when I started teen novels, I was drawn to one genre in particular: fantasy. 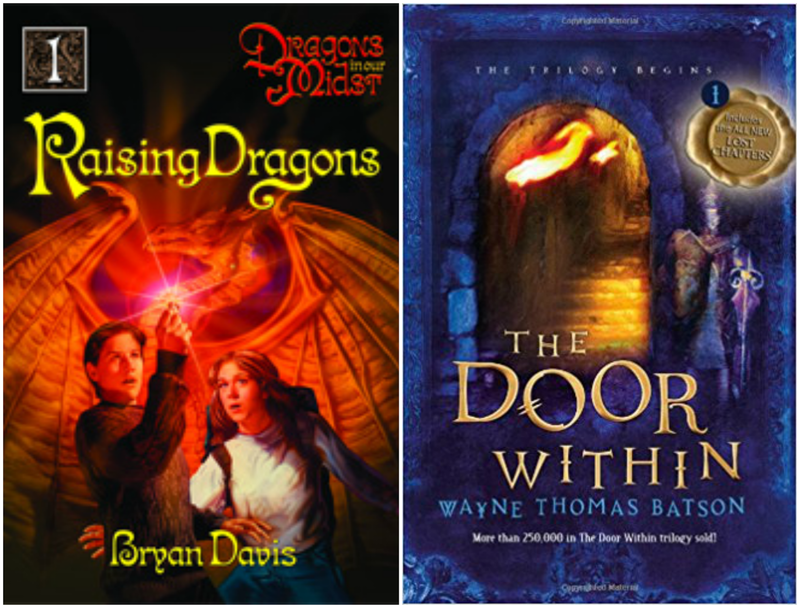 I started off on series like Dragons in Our Midst and The Door Within. While I did read other genres, fantasy was the one I always returned to. In fact, since July of 2013 (when I started keeping track of virtually all of the books I read), I have read 49 fantasy novels out of 157 recorded books--which means fantasy comprises 31% of the books I've read. One-third is actually a fairly strong percentage, when you think about it. And more of those novels have been in recent years. 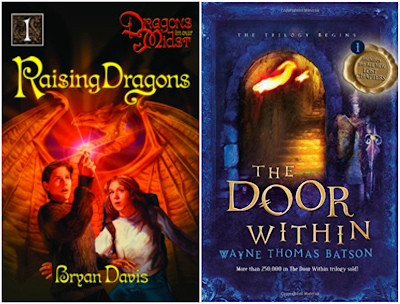 I would not be surprised if Bryan Davis and Wayne Thomas Batson were inspired by Tolkien's popular works of fantasy, particularly The Hobbit and The Lord of the Rings. These books not only changed the realm of fantasy stories, but also the writing world as a whole. We would probably not be where we are today if Tolkien never penned his immensely popular books. I would not be where I am today were it not for Tolkien. He inspired authors such as Davis and Batson, who in turn inspired Tracey, and all three inspired me. If you read my interview with Christine, you'll recall I mentioned I used to hate writing. However, when I started my own full-length project (of the fantasy genre), I grew to love writing. What changed? Simple: my imagination was unleashed. See, when I was younger, I did all sorts of imaginative things. I played stories with LEGO and with my sisters, I read, and a whole bunch of other creative things. Then, when I was given a school writing project, there were always limitations, always guidelines I had to follow. It was boring, because I could never really write what I truly wanted to. After that story, it all changed. I would never be the same. I fell in love with composing tales of heroics and relatable characters and adventure and organic moral themes. The title of this post says that fantasy shaped my writing, but I believe I can take it a step further. Fantasy shaped my world, and I'm so much the better for it. I know this is a short post, but I think I'll end it here. I've said all I feel needs to be said. In the meantime, let's celebrate together the birth of fantasy as we know it today. YES TO ALL OF THIS. SO MUCH YES!!! I loved this post! :D It made my fantasy-loving heart happy. And our stories are very similar. I, too, would not in ANY form or fashion be the Christine I am today if not for Tolkien. His books shaped me and, in turn, shaped fantasy in general which is my LIFE. Where WOULD the world be today if not for Tolkien? I shudder to think! My writing also soared once I discovered writing fantasy. And I haven't looked back. XD Fantasy is just so infinite! You can literally do ANYTHING with it. GAH. I love it! We should DEFINITELY declare fantasy as the best genre of all time! Aye! I'm glad you enjoyed it! I think the world would be utterly different without Tolkien and his amazing stories. He's inspired many, many people. Probably more than he ever thought he would. I can relate to that. I love being able to do whatever I want. Fantasy is just a great way to do that in writing. YES! Yes to this post!! Fantasy is so amazing, and it can totally transform you! And, funny thing, I was recently at a writer's workshop where Wayne Thomas Batson spoke, and he said that The Hobbit was SUCH a huge part of his life. Reading that book totally changed him and affected his writing so much! :D And you can definitely see that in his books. Indeed it can! Fantasy is a very powerful genre. Oh, that's really cool! :D Did you enjoy hearing him speak? Yeah, I can see how that book affected his writing.